I enjoyed the historical aspect of this novel, the subject matter definitely stood out to me since I had not read a book that focused on the advent of flight and its swift progress. It is easily apparent that the author meticulously researched early aviation and the experiences of the pilots and engineers. The overall pace of the book was too slow for me however, and I was missing the impetus to keep turning the pages. The attraction and romance between Bella and James is sweet, yet tepid as they both have strong goals with journalism and flying. This is a book that will be enjoyed by readers who prefer a strong historical focus over a character-driven story. 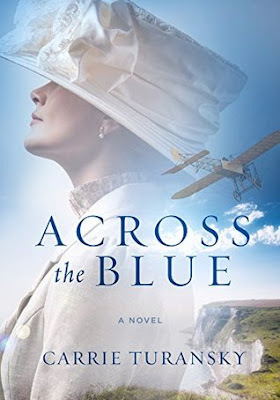 A book that I feel lucky to have read is the newest from Carrie Turansky, Across the Blue! I felt like the history really came to life and the characters were great. 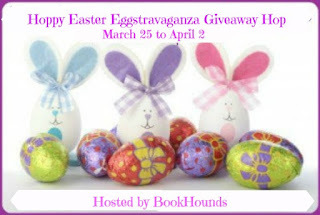 Enter to win a copy below and check out the other blogs on the hop! Special thanks to Waterbrook Multnomah Publishing for providing the giveaway! Happy Easter! This is one of my favorite holidays. It reminds me of the gift of the Atonement and resurrection from our Savior Jesus Christ, and it gives me hope that I will be reunited with my loved ones who have passed on, especially my dad who I miss more than I can say. 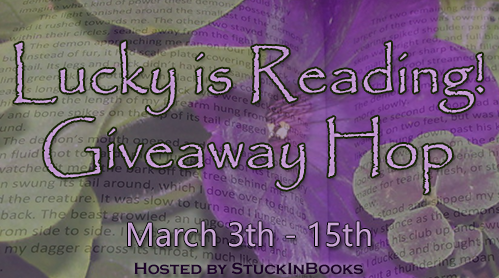 Enter below for a chance to win a copy of The Daughter of Highland Hall by Carrie Turansky! I rated this book 4 stars- I really liked it- and you can read my review here. Gratitude Giveaway Hop! 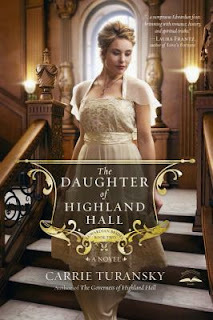 Enter to win The Daughter of Highland Hall! So this giveaway has only one requirement- be a follower of Heidi Reads... and let me know your favorite way of following! Enter for a chance to win a copy of The Daughter of Highland Hall by Carrie Turansky, which I really enjoyed- you can read my review here. 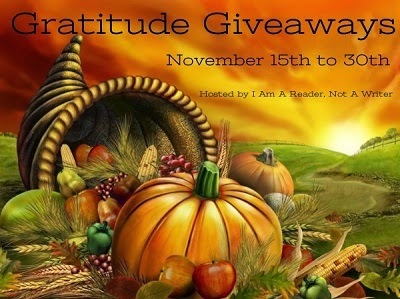 Follow the Gratitude Giveaway Hop hosted by I Am a Reader, Not A Writer for more book related giveaways! This book is told from multiple points of view and has several plots going on. I think it worked in this case since none are too complex and they are also intertwined. Kate seemed slightly immature at the beginning but it was nice to see her character growth as she is exposed to opportunities to be of service to others. Her relationship with Jon grows slowly and steadily throughout the novel which is my favorite kind of romance- beginning with friendship. It has the feel of a Regency even though the setting is early 20th century, I think because of the setting in London and focus on Kate's debut season.